Bad Vibrations is delighted to announce the return of Label Mates on 25 -26 January 2019. Now in its fourth year, the multi-venue festival will take place over two days across some of Hackney’s most beloved venues, bringing together a number of great independent labels from the UK and further afield in support of the live music scene. Throughout the weekend, stages and acts will be hosted and curated by Ac30, Burger Records, Blak Hand Recordings, Brain, , Dischord, Fuzz Club, Handsome Dad, In The Red, Moshi Moshi, Rocket Recordings, Speedy Wunderground, Meat Machine, Mexican Summer and plenty more are still to come. The first wave of acts includes a headline show from Michael Rother who plays material from NEU! Harmonia & Solo Works at new multi-arts space EartH. Also included are Nov3l & Pill who play at The Shackelwell Arms. 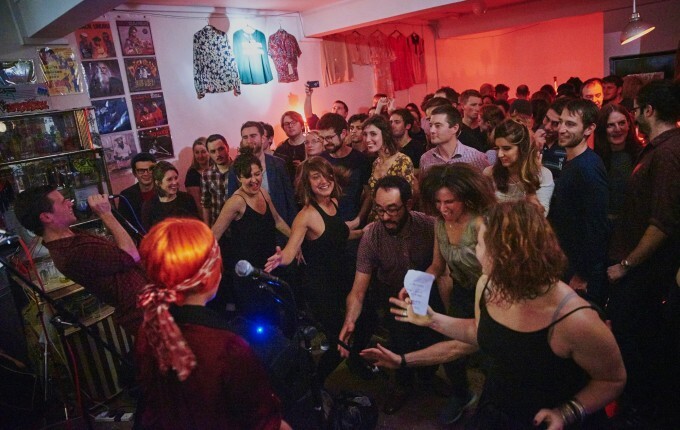 More showcases are due to be announced over the coming months with day-long programming at Shacklewell Arms, Moth Club, The Waiting Room, Rough Trade East, The Victoria, Oslo, EartH, Night Tales, Paper Dress Vintage and Hackney Showrooms.